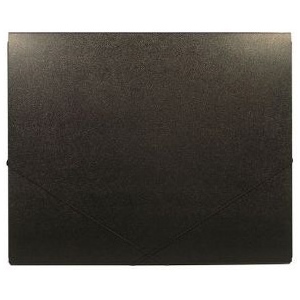 Folio constructed of heavy-duty black polypropylene with textured finish. * Resilient elastic retaining straps to securely close and house valued contents. * Perfect for protecting and transporting drawings sketches documents and other dry media. The gusset size is 7/16".